South to the cultural riches of Edinburgh and Glasgow. West to the sacred and misty island of Iona in the Hebrides. Inland to the breathtaking highlands, where clans and kings fought to defend their hearths and heritage. Discover rugged landscapes, turbulent history, romance and legend on a remarkable, sweeping journey through Scotland. From peaks to glens we’ll go, with a wee dram to fortify us along the way. Lunch: In the hotel dining room for those arriving by 12:30pm. A light lunch with coffee, tea and water. Other beverages are available for purchase. Morning: Enjoy a lecture in the hotel on “Scotland’s History”, followed by a panoramic journey by motor coach around the highlights of this magnificent city. Afternoon: Free time. Your Group Leader will be happy to offer suggestions should you wish to further explore Glasgow. Dinner: On your own to enjoy what you like. Morning: This morning we depart by motor coach to Robert Adam’s masterpiece, Culzean Castle – a 600 acre estate in South Ayrshire where Dwight D Eisenhower was given use of an apartment in recognition of his connection to this grateful nation. Culzean was the principal seat of Clan Kennedy, one of Scotland’s oldest families, who can trace their ancestry back to Robert Bruce. Afternoon: The field trip continues to Burns Cottage in Alloway, the birthplace of Scotland’s national poet, Robert Burns. Here we will be able to explore the life and times of this Scottish icon, from his birth to his recognition as a leading writer of his time. Morning: We transfer to Oban by motor coach via Helensburgh, where we will see the home created for one of Scotland’s best known publishers by Glasgow’s world famous Charles Rennie Mackintosh. Dating back to 1902, the interiors and decorative scheme were created by Mackintosh and his wife. We will then continue on into the Highlands with a scenic drive along the shores of Loch Lomond. Afternoon: The transfer continues on to “the Hollow Hill”, Cruachan Power Station – one of the country’s most amazing engineering achievements. Hidden deep within the mountain of Ben Cruachan on the shores of Loch Awe, the massive cavern at its centre is high enough to house the Tower of London. Morning: Today we take a full day field trip by ferry to the Isle of Mull, and then onto the Isle of Iona. Mull is the second largest island in the Inner Hebrides and from the rugged ridges of its coastline to its blinding white sand, Mull can lay claim to some of the finest and most varied scenery in the Hebrides. Lunch: Served in a charming hotel on Iona. Afternoon: Following lunch, explore the ethereal isle of Iona – a place where they say “the Veil is thin”. Iona was a centre of Irish monasticism for four centuries and is today renowned for its tranquillity and natural beauty. Return by ferry from Craignure to Oban. Morning: Today we transfer by motor coach to Fort William through “kidnapped” country, with a drive by of Stalker Castle. We’ll then take a private cruise on Loch Shiel. The loch is one of Scotland’s most historically significant and unspoilt natural treasures and its 18 mile length is only accessible by boat. It commands wonderful views of the famous Glenfinnan Viaduct. Lunch: Taken at a nearby restaurant. Morning: This morning take a gondola ride on Ben Nevis, the highest mountain in the British Isle. On a clear day the views from the summit stretch as far as Northern Ireland! We will then board the West Highland Line train from Fort William to Crianlarich via Rannoch Moor. The ride is considered the most scenic railway line in Britain and was voted the top railway journey in the world by readers of independent travel magazine Wanderlust in 2009. Lunch: Taken out in Tyndrum. Afternoon: The field trip continues by motor coach through Glencoe, with a stop at its fascinating Visitor Centre. Morning: Today we journey by motor coach and ferry to Dingwall and the Isle of Skye – “the misty isle”. 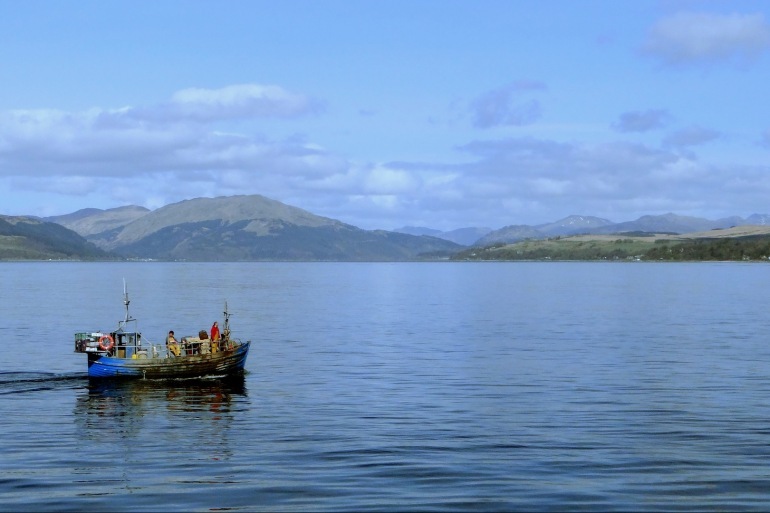 Begin by taking the 30 minute ferry ride from Mallaig to Armadale and onwards through the rugged, haunting hills to view The Cuillin, the most spectacular mountains in the Highlands. Lunch: Taken out on Skye. Afternoon: The field trip continues before we carry on our transfer to the hotel in Dingwall. Morning: We journey by motor coach to fairy tale Cawdor Castle, 124th Century home to the Thanes of Cawdor. Linked with Shakespeare’s Macbeth, the castle remains home to the Cawdor family today. The castle, whilst presenting a strong and severe exterior, is a surprisingly intimate building that radiates a friendly, family atmosphere through its interior. Lunch: Lunch will be taken at Cawdor Castle. Afternoon: We pay a visit to Clava Cairns, one of Scotland’s most evocative prehistoric sites. Approximately 4,000 years old, these burial cairns were perhaps the final resting place of privileged members of the local community. From Clava Cairns we move onto the battlefield of Culloden, the site of a turning point in British history and the last battle fought on British soil. Evening: Relax and enjoy a local music group as they regale you with traditional Scottish tunes. Morning: We board the motor coach and transfer to Pitlochry via one of Scotland’s famous whisky distilleries. Here we will discover not only the magic of malt whisky production, but also the history of this most famous of Scottish drinks. We may even sample a “wee dram”! Afternoon: The transfer continues as we enjoy a sheepdog display at Kingussie Leaut Farm, before travelling onwards to Pitlochry. Morning: This morning we travel by motor coach to Dunkeld, one of the best preserved historic towns in Scotland. Its cathedral dominates the skyline and is over 1,400 years old, dating from a time when Celtic monks set up the base for a mission at the confluence of two rivers. Since then it has seen many changes and turbulent times, eventually becoming the beautiful, peaceful place of worship it is today. From Dunkeld we make the scenic journey to Scone Palace, the crowning place of Scottish Kings. From Kenneth McAlpin, traditionally known as the first King of Scots, through Shakespeare’s Macbeth, Robert the Bruce and Charles II – all were crowned here. Lunch: Taken at Scone Palace. Afternoon: We return to the hotel via the Loch of the Lowes, an unspoilt nature reserve covering 220 square acres. Take some time to reflect and enjoy the beautiful woodland, or try and spot one of the many rare, indigenous species: red squirrels, roe deer and a pair of breeding ospreys have all made this tranquil nature reserve their home. Morning: This morning we transfer by motor coach to Edinburgh, capital city of Scotland and your final destination. En-route we will visit the delightful small town of Culross, with its Merchant’s Palace and Bishop’s Study. Enjoy the storied narrow streets and views across the Firth of Forth. Afternoon: Continue on to Rosslyn Chapel, a symphony of stone carving and craftsmanship now best known for its association with the Da Vinci Code. Founded in 1446, this chapel is widely regarded as one of the most picturesque in the United Kingdom. Morning: This morning we visit Edinburgh Castle to discover its rich and varied history. Afternoon: Free time for you to discover more of Edinburgh. Your Group Leader will have suggestions on how you can make the most of your time in this historic city. Dinner: Farewell dinner in the hotel. Situated on the Esplanade with views across the Firth of Lorne to Mull and Kerrea. A baronial style country house hotel on the shores of loch Linnhe and Loch Leven and at the foot of the dramatic Glencoe. Tulloch Castle dates from the 12th Century, when first the Bains and later the Clan Davidson laid claim to its lands. When you arrive, you will be met with Tulloch’s countless period features including the 250-year old panelled Great Hall. As you enter the magnificent hallways you will pass by painstakingly restored original fireplaces and ceilings.